Executive Secretary, Nigerian Institute of Town Planners (NITP, Eric Mbaukaan (left); National Public Relations Secretary, Sani Daniel; First National Vice-President, Toyin Ayinde; National President, Lekwa Ezutah; 2nd National Vice-President, Nathaniel Atebije; Ex-Officio, Susanna Sheyin and National Secretary, Patrick Nyam during the investiture of Ezutah in Abuja. 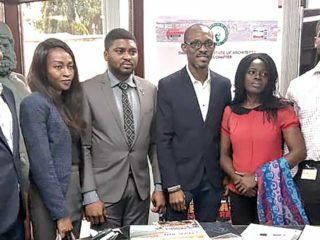 The Nigerian Institute of Town Planners (NITP) has called on the Federal government to domesticate the New Urban Agenda and adopt the contents of the Earth Charter, which is the ethical framework for building a sustainable and peaceful global society. 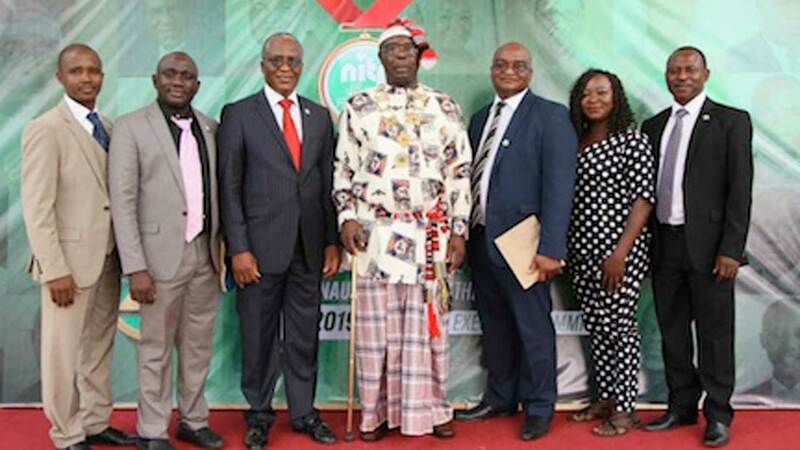 New NITP President, Lekwa Ezutah who made the call at his investiture as the 23rd national president of the Institute in Abuja, urged government to fast track the implementation of the provisions of the Nigerian Urban and Regional Planning Law. While making case for the establishment of an urban and regional planning commission, he argued that no form of growth including the economic growth and recovery programme of the Federal Government could be sustained in the absence of physical planning. He noted that all economic investments depend on land to produce and countries with robust physical planning programmes have grown faster as well as developed more sustainably spatially, economically and socially. Ezutah observed that though informal environments were created for habitation of humans in historical times, physical planning was introduced into Nigeria as a conscious effort to restore order in human settlements through the Town Improvement Ordinance of 1863. He noted that the institute, which started with eight members in 1966 at Ibadan, has grown to membership strength of over 5,000 with chapters and study groups across all the States of the Federation and the Federal Capital Territory. He observed that the institute has enjoyed an unbroken growth and stability in its 52 years of existence and commended the founding fathers and their successors who labou red tirelessly for the survival of the professional body against all odds. Ezutah said that the institute under his leadership would sufficiently create, employ and deploy various avenues for effective public enlightenment to enhance the knowledge of the public on the value of town planning in their lives. According to him, the institute will pursue the reform of its national secretariat for effective service delivery, grow membership that appreciates and strengthen the professional competence of members for quality service delivery with a view to enhancing the environmental quality of human settlement. He called on government, the political class, and business community to collaborate with town planners in effective dissemination and improvement on the knowledge and practice of town planning. He said: ‘’The Political class should of necessity ensure that town planners are integral part of their political agenda to enhance the chances of their success’’. 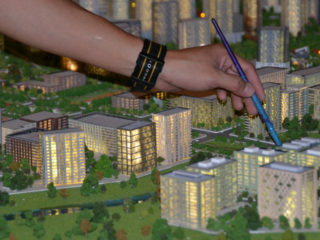 The president said he will facilitate the training and aggressive recruitment of town planners by government agencies, to develop and manage urban and rural areas. The NITP President also charged the newly inaugurated executive members of the Institute to complement the federal government efforts in town planning and development. A guest speaker at the event, Awa Kalu called on the association to assist the Federal government in developing programmes that will actualize its environmental planning policies.